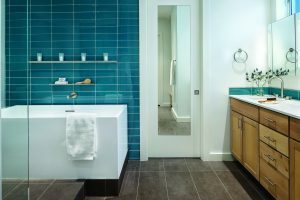 Investing thousands of dollars in a kitchen or bathroom remodel can be daunting, but it doesn’t have to be. It used to be that internet meant high-tech. Now, especially with the Internet of Things, it means easier access to entertainment and home security. Home automation is now a consideration when remodeling as WiFi can be used to connect affordable, easy-to-install smoke and carbon monoxide detectors. These safety tools can be accessed from any smartphone or device and should be considered when remodeling. Many of these smart devices, including thermostats and lighting fixtures, can support an energy-efficient home by allowing you to adjust the temperature or turn off lights, directly from your smartphone. Design trends continue to revolve around color. Color options range from the deep, saturated tones of ruby, emerald, and sapphire to a soft and delicate palette of pastels. Whether you prefer strong, bold, intense colors or are looking for a more neutral palette, there is a hue to fit your style. 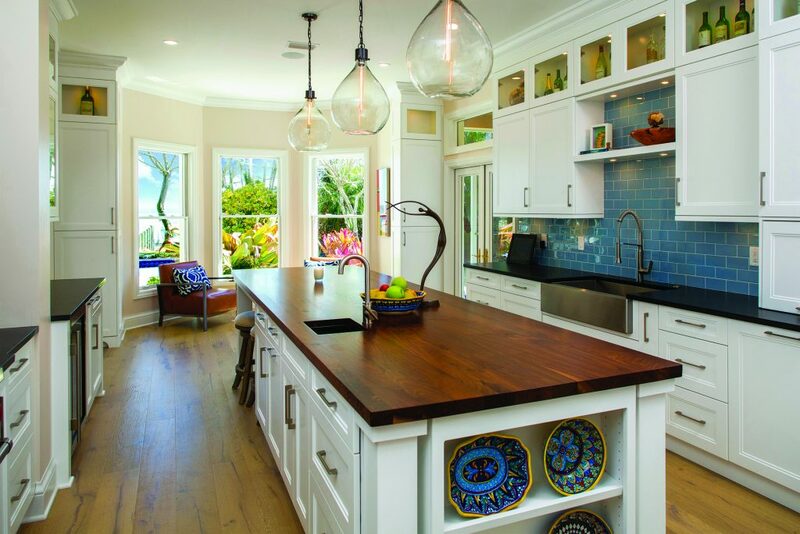 Color can be used on everything including cabinetry, walls even including the “fifth wall,” or ceiling, to appliances, tile, and furnishings. The options are nearly limitless.